Once again I'm way behind a current trend. Actually, I may be so far behind that the trend is nearly past, but I've finally tried Overnight Oats. 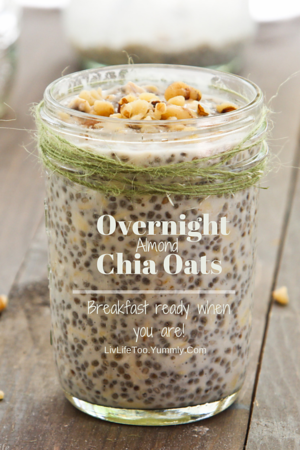 For months my blog reader has been filled with various versions of overnight oats. From Pumpkin Spice to Orange Cashew, overnight oats are everywhere. But... the thought of them somehow just sort of seemed distasteful. Would they be overly mushy? Would they be chalky? Would they be just plain weird? Nope to all the above. Amazing, fabulous, incredible, irresistible, and perhaps even spectacular. Mushy? Not at all - a lovely smooth texture with just a little bit of an oaty bite. Chalky? Heavens no. Not a speck of chalkiness in the cup. Weird? Maybe a little... but oh, so lusciously fabulous at the same time. I am forever totally, and positively hooked. 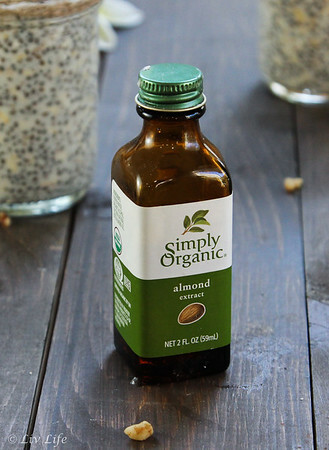 Figuring I should start with a basic recipe - almond milk and oats - I reached for vanilla extract for a little flavor enhancement, but not paying attention, my vanilla turned out to be almond. And a better mistake has never been made. 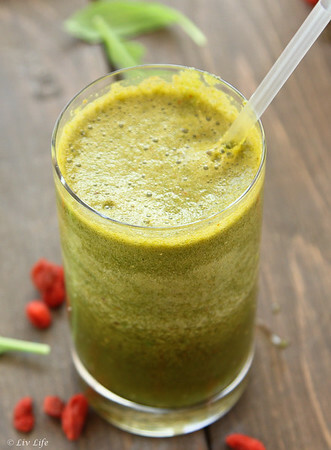 Textures and flavors blend together in this "ready when you are" breakfast (or lunch as it may be) creating a simply irresistible concoction I've enjoyed daily for the past week. Dance Moms... do you watch the Lifetime Show? If you haven't, don't. It's terrible. But as a dance mom, it's totally addicting. With some 13 years of Dance "Momness" under my belt, I consider myself somewhat of an expert on the subject. I've done it all, overnight rhinestoning sessions, minutes before going onstage tap shoe and costume repair, duct taped pieces in place, and ultimate hairstyles, all followed by rivers of tears as I sit in the audience watching these talented girls live their passion. I'd always considered myself a soccer mom, but as my son grew up and Liv began competitive dance, I embraced my Dance Mom life, and clearly explain to everyone I meet that we are nothing like the catty, mean moms you see on tv. Having watched Liv's teammates grow up, I feel almost as thought I have some 20+ step daughters, all whom I love almost as much as Liv. I've grown to know their favorite things, their fears and insecurities, their personalities, and their tastes. Baking and cooking for them fills my heart and when I get special requests I leap to the project. 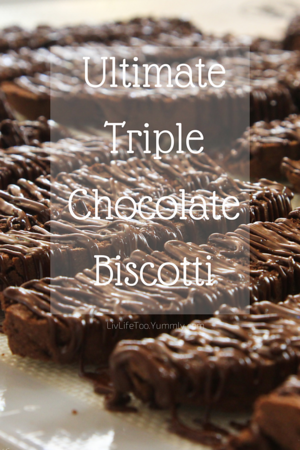 Me: "So... if I were to make a Chocolate Biscotti with lots of chocolate chips, would a you want a chocolate drizzle on top??" All righty then... drizzle it is! 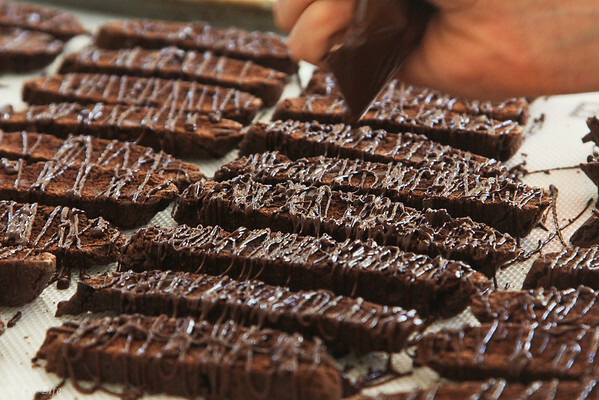 Tweaking our Nutella Biscotti recipe to pure, unadulterated chocolate, I set Liv to the task of adding the chocolate drizzle. As she does on stage, her drizzle was done with passion. Thinking perhaps it was too much, we allowed the chocolate to set, then did our own taste test. Too much? Not a chance! 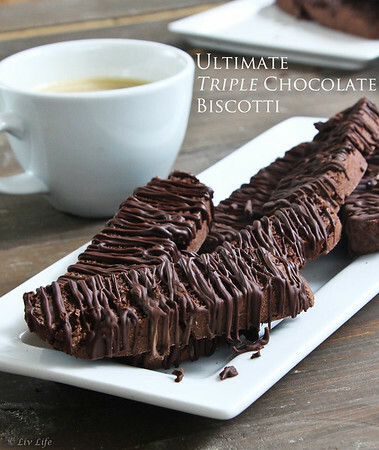 Rich with the perfect biscotti bite, Taylor's Ultimate Chocolate Rehearsal Biscotti disappeared in a flash at the girls first competition rehearsal and received the esteemed score of Platinum Plus. Beat that Abbie Lee Miller! 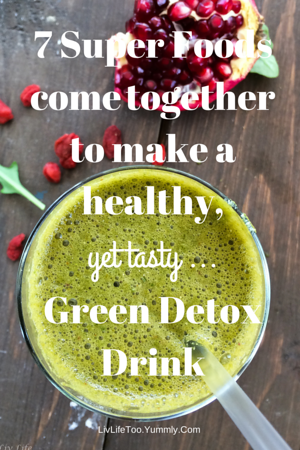 Girards Dressing Giveaway... what would you do with your care package? Dressing... it's not just for salad, is it? A few months ago I participated in a challenge from Girard's Dressings to create a recipe using one of their products that stretched the idea of the usual dressing use - going beyond salad. Do you remember the No-Cook Summer Heirloom Tomato Sauce with Fresh Herbs I put together in August? Using Girard's Old Venice Italian, that recipe launched me on a path I'm incredibly excited to follow. 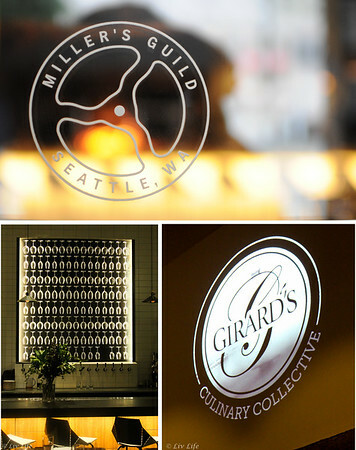 Girard's brand is one that's always been near and dear to my heart - a company with a history closely paralleling my own (we both began in San Francisco, spent time in San Rafael and made our way south to San Diego) - Girard's brings a bit of my childhood back into my kitchen. With a recipe dating back to the mid 1930's, my mom says her father actually ate at the Girard's French Restaurant on Ellis St., in San Francisco, where Girard's Original French Dressing first came to be. 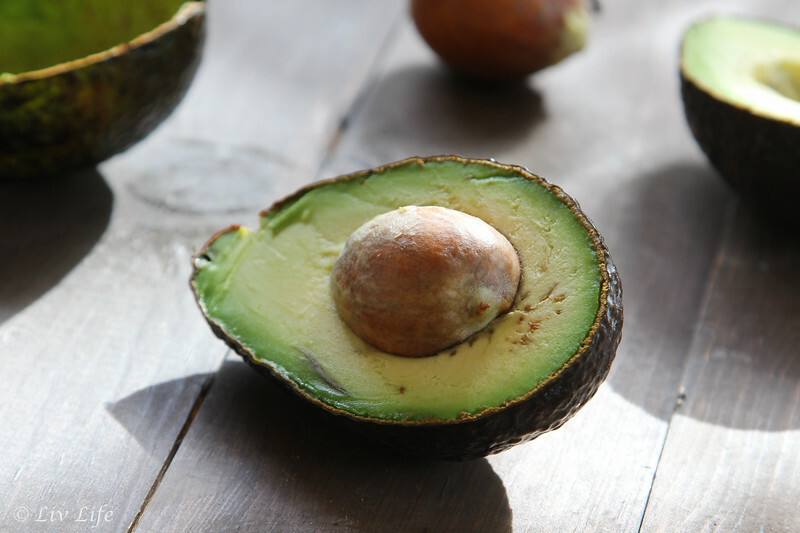 Easily recognizable in their familiar triangular-shaped bottles, Grirard's was a staple in our kitchen when I was little, and I smiled as my neighbor's 12-year old daughter pointed to the Champagne Dressing in my now grown up kitchen, exclaiming, "Oh! That one's my favorite!". Her smile grew even larger when I handed her the bottle to take home after she helped me style and shoot a few photos. Apparently a winning recipe, our No-Cook Heirloom Tomato Sauce won Girard's challenge, and weeks later I joined five additional food bloggers (shown above) on a Grand Foodie Adventure Weekend in Seattle as we participated in the Girard's Culinary Collective and learned just what dressing can do. 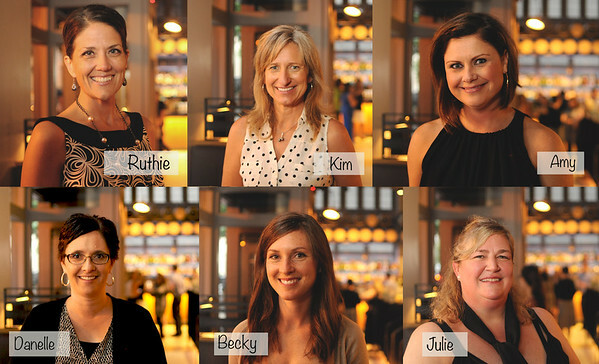 Amazingly talented ladies, I can't begin to tell you how excited I am to be a part of this group. 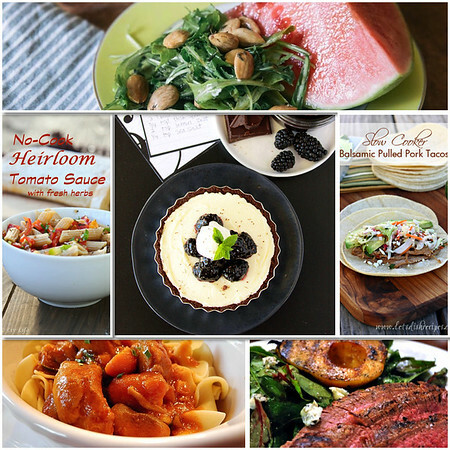 Their winning recipes for the challenge included Slow Cooker Balsamic Pulled Pork Tacos, Balsamic Flank Steak with Grilled Pears and Gorgonzola, Barista Balsamic Pork Ragout, Blackberry Barista Balsamic Marscarpone Tartlettes, and a fabulous Watermelon Wedge Salad Recipe. 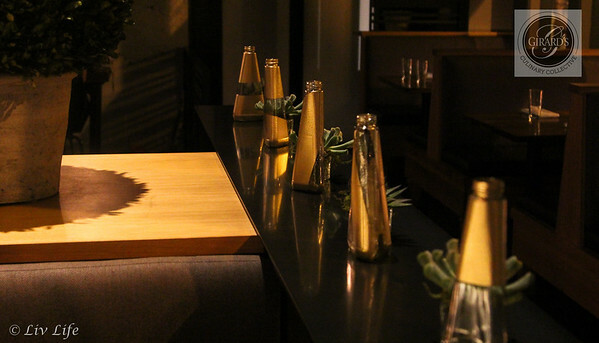 Part of our foodie adventure landed us in Seattle's Miller's Guild Restaurant where we spent an evening with the esteemed Chef Jason Wilson who prepared us a six-course meal featuring Girard's Dressing in every course. 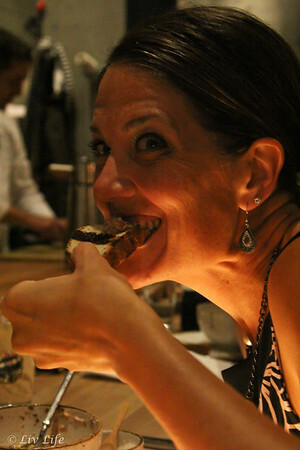 See my restaurant review post to get a rundown of each dish (including appetizers and an amazing specialty cocktail!). But today, I am excited to share a Griard's opportunity with you! 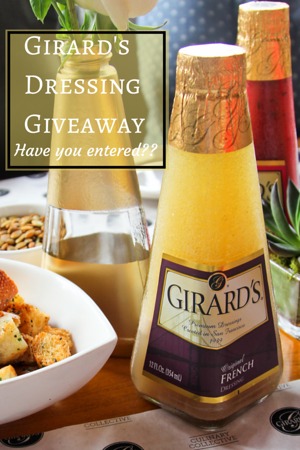 Partnering with Girard's and my fellow Collective participants, we are giving away a four-pack of Girard's Dressings (Champagne, White Balsamic, Greek Vinaigrette, and Caesar) to 20 lucky recipients. Open from today (Monday, October 20th) for one week (through Sunday, October 27th), just participate in the Rafflecopter widget below for your chance to receive a Girard's Care Package of your own. With twenty 4-packs ready for the road, you're chances are looking good! Move over Kale, we're jumping on the Roasted Cauliflower bandwagon!! Well... 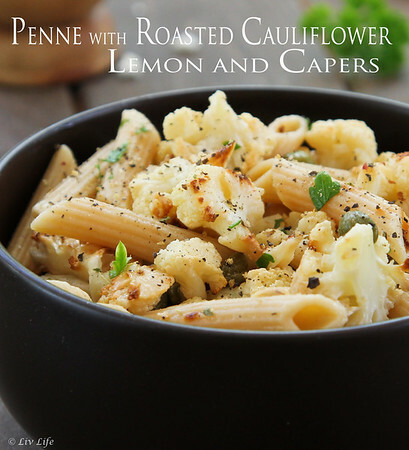 I might be a bit behind the wagon as roasted cauliflower's rage may be so yesterday, but cauliflower is one of those veggies my whole family loves and we've been eating for years. We just haven't roasted it until this week. And why, oh why did we wait so long?? Cauliflower is one of those cruciferous vegetables filled with health benefits and recommended as part of a healthy diet. 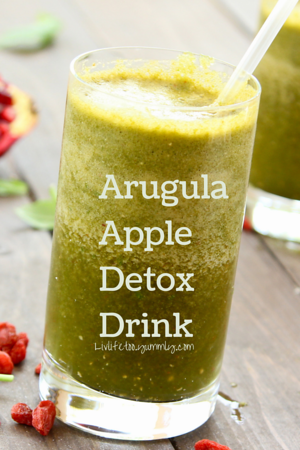 Linked to cancer prevention and detox support, and with anti-inflammatory and antioxidant properties, studies suggest 2-3 servings (1 1/2 cups) of the food group, minimum, a week. More delicate in flavor that broccoli (which is also highly recommended), cauliflower may be more popular with the kids, and may I mention here it's also fabulous dipped in hummus. Roasting though, caramelizes the cauliflower and brings out its sweetness. Thumbing through one of my favorite cookbooks, Good for You (Williams-Sonoma): Easy, Healthy Recipes for Every Day , this recipe jumped out the other day and we've made it 3 times since. Super easy to put together, the roasted cauliflower marries beautifully with freshly squeezed lemon, parsley and capers. 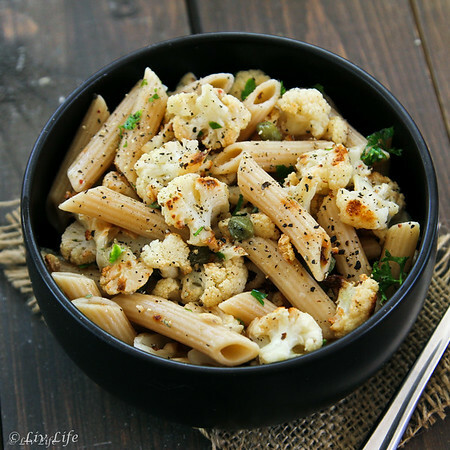 Tossed with my favorite penne pasta, this dish works as a light dinner or a very satisfying lunch. When family member ask for "that cauliflower dish" again, I know I have a hit - and this one's jumped to the top of the list. Pancakes... here at Liv Life, pancakes bring balance to the table. 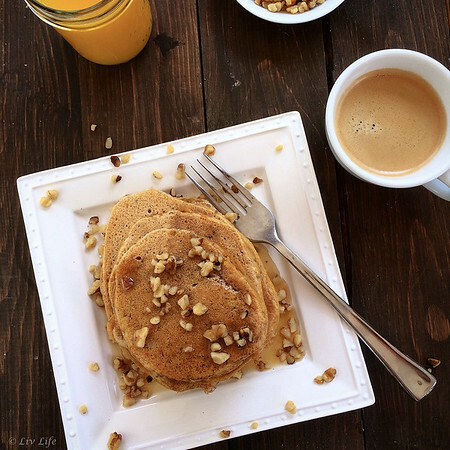 For some 18 years I've made pancakes 3-5 times a week, and over the years I've done my best to keep that balance of a "light, fluffy pancake" with healthy ingredients that help get my kids through their mornings. Pumpkin, though, is always a hit. Tweaking a version from 4 years ago (a special post with pancakes that brought comfort to our family), we've turned this pumpkin version in a power version - one that you can count on to get you through the morning in a healthy manner, but also one that will have the kids asking for them again for dinner. 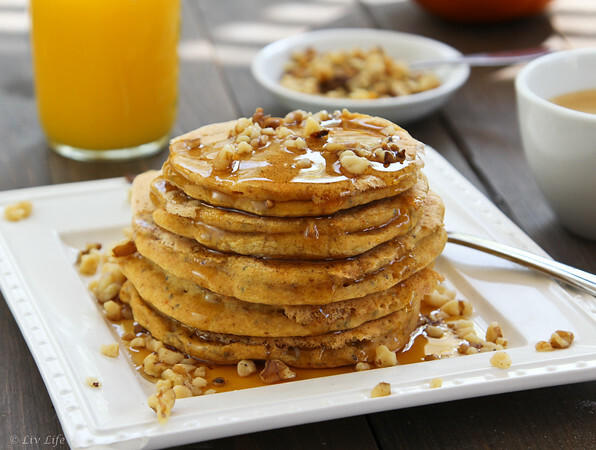 Filled with whole grains, flax, chia and pumpkin, these pancakes bring an array of nutrients and healthy properties including fiber, vitamin E, easier digestibility and a lower glycemic index from the Organic Spelt. Flax brings a high content of Omega-3's in addition to cardiovascular health, and pumpkin blasts us with vision-healthy vitamin A. But it's the chia that brings on even more power. 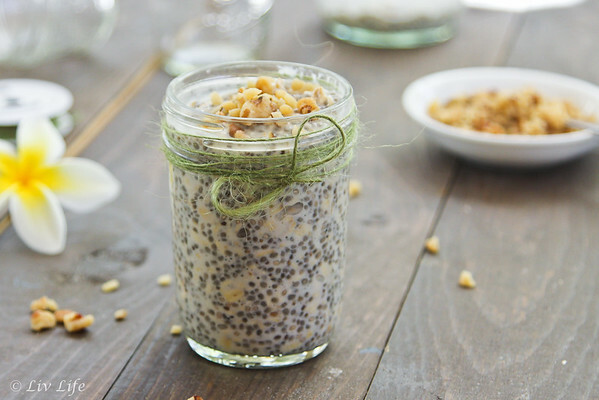 Prized by the Aztecs and Mayans to provide sustainable energy, chia also brings bone healthy calcium, phosphorus and magnesium. We've been adding chai to all sorts of recipes, and I'm finding I'm somewhat obsessed with this little seed that swells incredibly when added to liquid. All these benefits leave me happy with our choice of morning meal, but add in a few dashes of pumpkin pie-like spices and you have flavors that will send aromas of the holidays through your kitchen. 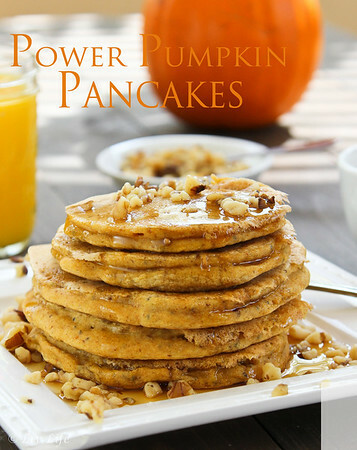 Power Pumpkin Pancakes - they're what's for breakfast. Or dinner. Seattle... when you hear mention of this charming city what picture pops into your mind? 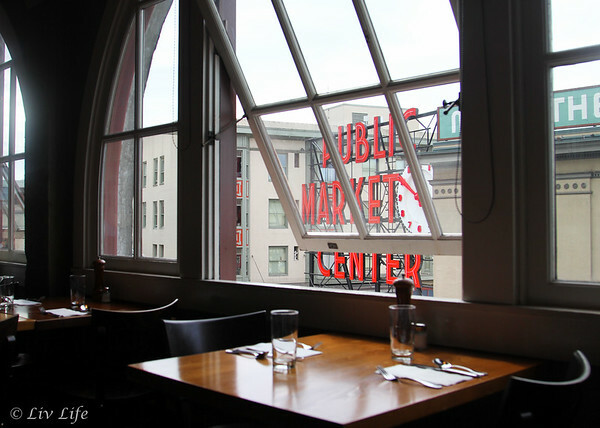 Before visiting the city for the first time a few weeks ago, it was that "Public Market Center" sign in Pike Place Market and visions of flying fish that flashed through my thoughts. Now that I've visited Seattle? It's still the market and flying fish, but now it's oh, so real! Day two of our Seattle Foodie Adventures with Girard's Culinary Collective began with instructions to "dress casually, bring your apron, and prepare to get a little dirty." (see day one here) Apparently we were to work for our lunch, and all I've got to say, is this job ranked up there as one of the best "work" days ever. 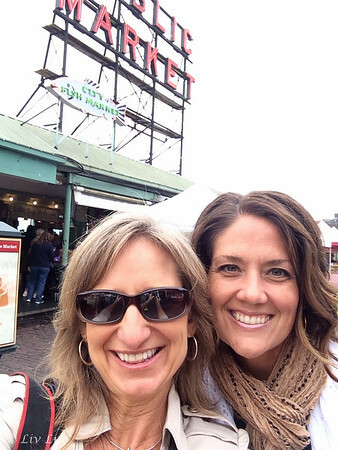 Heading through Pike Market, our Girard's representatives led us past that famous sign and directly to the ice bins filled with fish at the World Famous Pike Place Fish Market. 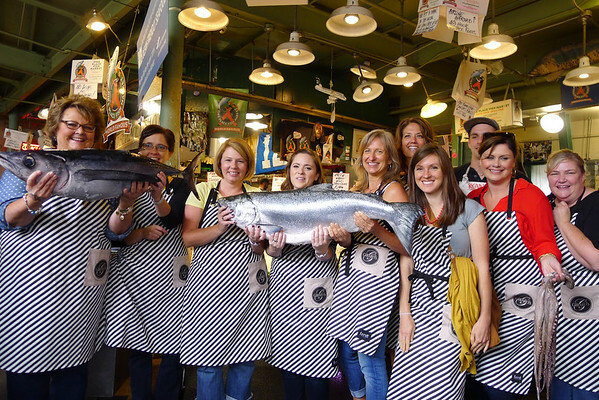 Known world wide for the boisterous filling of customer orders by throwing the fish to be wrapped, the Pike Place Fish Market is not only a local fish market but an entertaining Seattle destination that never gets old. Catching up with fishmonger Ryan, we discovered first hand the exemplary passion these guys feel for their market. With ambitions to "interact with people with a strong intention to make a difference for them. We want to give each person the experience of having been served and appreciated, whether they buy fish or not. We love them. ", he did just that. Briefing us on a little bit of history and lore about the fish market, Ryan proudly explained that all of the fish sold at the Pike Place Market is 100% sustainable. Giving us a rundown on the day's market offerings, he then grabbed a salmon, gave a boisterous yell for incoming, then hurled the fish across the entire market to a partner who easily caught it without missing a step. Ryan then told us to suit up with our own aprons and get ready to catch some fish. Donning our aprons the crowd grew exponentially as tourists with cameras at the ready stood by to watch our endeavors. Oh my gosh was I nervous as I made my way behind the counter and glanced nervously at all sorts of cell phones pointed my direction. Confidently Ryan caught my eye with a "you've got this" look, called me by name which the rest of the fish guys called back, then launched a flying salmon my direction. Taking what seemed like minutes to reach the other side of the counter even though it was flying at amazing speed (more seriously... I'm sure it was more like a light toss all of a few feet...) I don't think I've ever been so nervous to do something properly. 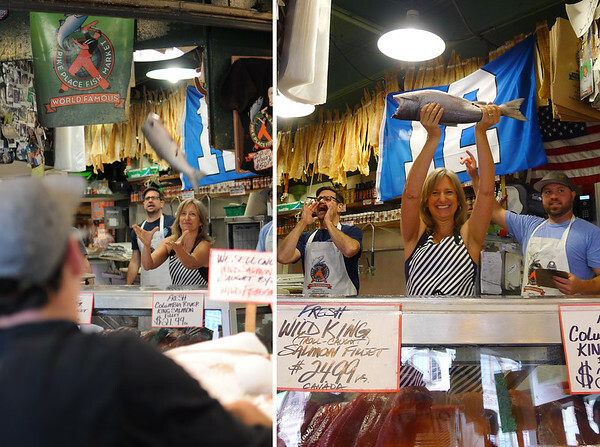 Nor have I ever been so proud as when I didn't drop that fish and the crowd cheered resoundingly! 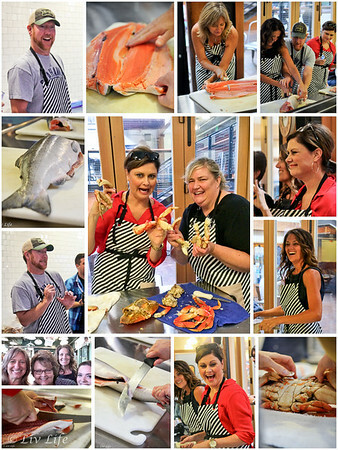 What a incredibly fun experience we all had, one that will cement the Pike Place Fish Market securely in my Seattle memories and one that will always make my heart swell just a little when I think about it. Not done with our work for the day yet, the Girard's team whisked us to a nearby test kitchen where we met up with Dan, of Matt's on the Market, for instruction on salmon filleting and Dungeness Crab preparation. I now know why I've always purchased my salmon already filleted, deboned and cut into pieces, but I can now also say that if I were presented with a whole fish... I could do it myself. Equipment, i.e, a super sharp filleting knife, makes the work so much easier, and we learned to allowed the knife to do the work for us, not to "saw" through the beautiful salmon. Apparently preparing the crabs for our own lunch, Dan showed us how to crack the shells for easier eating and told us the more work we did now in the kitchen the less work it would be at the table. Crabs cleaned and salmon filleted, we made our way upstairs to Matt's on the Market where Girard's once again had a lovely table ready for us. 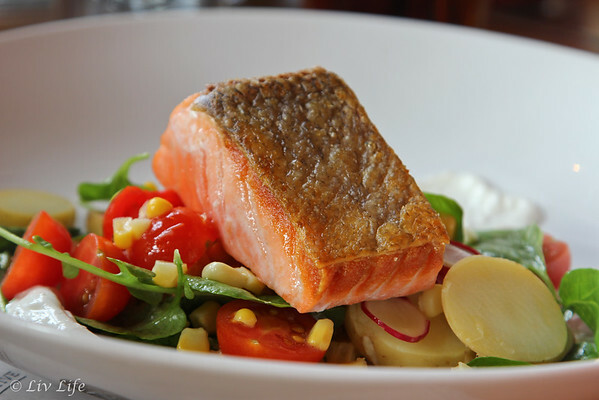 And, featured on the menu was... fresh salmon and Dungeness Crab! Opened in 1996, Matt's began as a small - only 23 seat - restaurant which boasted a fiercely loyal clientele who loved the ever changing menu based on what was available in the Pike Market downstairs. 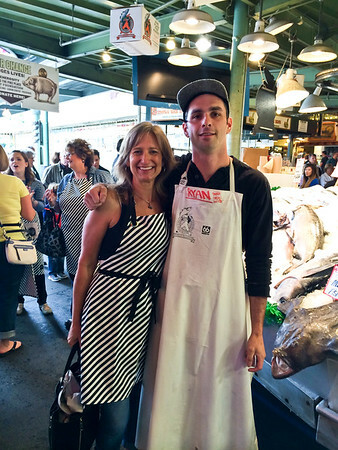 When Matt decided to leave the restaurant, Dan Bugge - actually a star "fish thrower" for 11 years at the Pike Place Fish Market - began his dream of restaurant ownership. Keeping the restaurant name along with the passion to create culinary experiences, Dan continues the every changing menu based on the Pike Market seasonal offerings. He and his staff have, however, made major upgrades to the restaurant including a new kitchen, expansion in both size and capacity, and the addition of a spectacularly well-stocked bar. When in town, reservations are highly recommend. 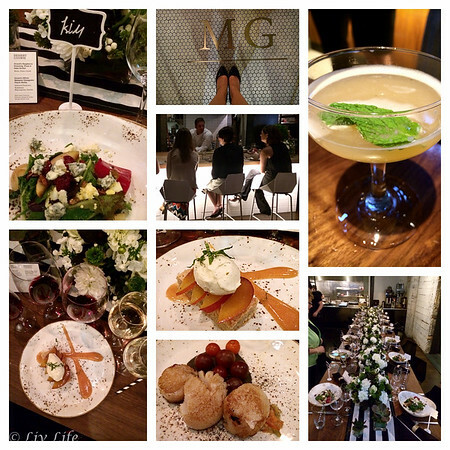 A charming finale to our Culinary Collective, Matt's boasts gorgeous views of the bustling market below. Toasting our day over salads dressed with Girard's Dressings (we had a choice of every dressing they make on the table! ), the sun broke through the fog and a clear, brilliantly blue sky shone over our table through Matt's historic arched windows. With freshly caught Dungeness Crab, perfectly filleted wild salmon and a table filled with new friends, our lunch passed far too quickly. Laughter rose time and again as we recounted our weekend and commented on our fish splattered sleeves. I don't think working for my lunch will ever again be as fun. 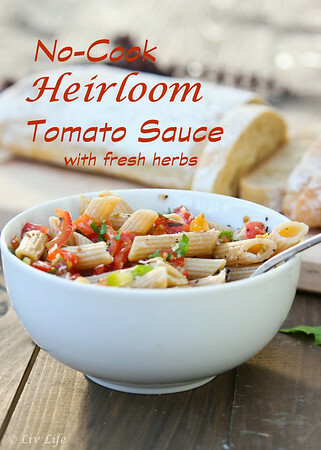 Do you remember the No Cook Summer Heirloom Tomato Sauce with Fresh Herbs we made a few weeks back? Well... not only did that recipe become one of our favorite go-to summer dishes using one of our favorite bottled dressings (Girard's Old Venice Italian), but it won me a unprecedented trip to Seattle, Washington to participate in the Girard's Culinary Collective. Beginning with a personal limo pick-up at the airport (see my first Seattle Post here) and ending days later with fresh Pike Market Salmon on my doorstep, Girard's spoiled our group of six bloggers to no end as they took us on a weekend foodie adventure we won't soon forget. Little did we know the treat we were in for! 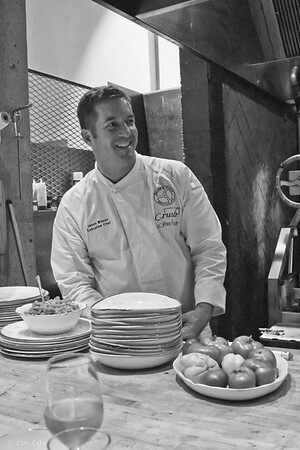 For weeks James Beard Award-Winning Chef and owner of Miller's Guild, Jason Wilson, had been working with Girard's to put together a menu featuring Girard's Dressings just for our event. 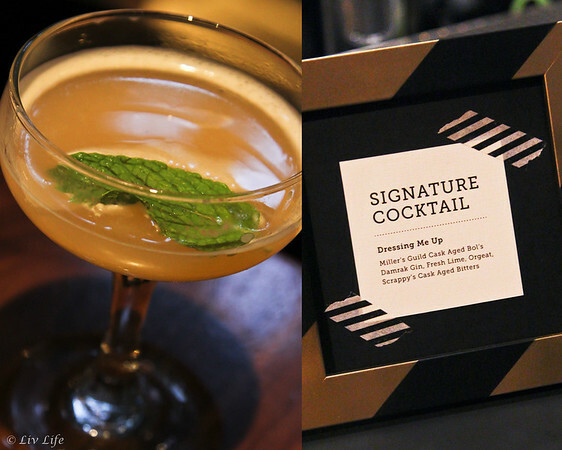 With the restaurant closed for our affair, Chef Jason led us on a journey featuring a specially made cocktail, an array of tempting appetizers and a six course epicurean meal perfectly paired with wine at every turn. Beginning the evening with a Signature Cocktail - Dressing Me Up - I accepted the drink, but simply carried it for a few moments before taking a hesitant sip (I'm not usually much of fan of gin). People must have laughed as my eyes grew wide and beamed love from the very first taste. Sweet, yet tart with lime, I'm now left wishing I had asked for more explicit directions for this drink as I'd be a happy girl with one of these in my hands nightly. Perhaps I am a gin girl after all. Passed appetizers included Hearth Roasted Scallops with a Green Strawberry and Girard's Spinach Salad Dressing Compote, Kusshi Oysters bathed in a Girard's Light Creamy Balsamic Vinaigrette Tomato Jam, Crispy Beef Mini Sandwiches with a Girard's Champagne Dressing Slaw, and a Pork Rillette with figs and pumpkin dressed with Girard's new Barista Balsamic. Having stuck to a mostly plant based diet for the last few years I at first waved off most of the appetizers with the exception of the tender scallops. 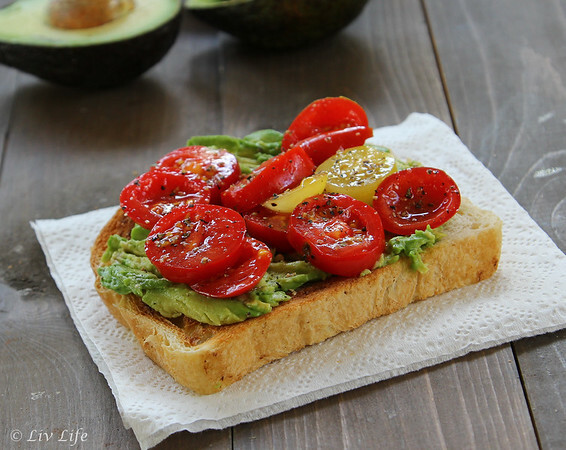 A second Dressing Me Up, however, weakened my reserve and I tentatively reached for a Crispy Beef Mini Sandwich and again... love beamed from my head to my toes. Perfect in every way, the slightly crispy beef combined with the Champagne Dressing Slaw was my first taste of beef in years jumped in status to one of the most memorable appetizers I've ever had. Moving to seating in front of the restaurant feature, a nine-foot custom-made wood-fired grill, I admit my grill-envy kicked into high gear. Stoking the coals, Chef Wilson described our next dish and actually put us to work. Described as a Waygu Beef Tartar with Girards Greek Feta Vinaigrette, the chef passed ingredients including an heirloom tomato salsa-like sauce, crumbled hard boiled eggs and smoked salt before we added the beef and a squeeze of Truffle Foam. I'll admit to being slightly hesitant again with the beef, however the Chef surprised me with fresh wild salmon for my portion and I think I may have made everyone a tad envious as I mixed it with the Truffle Foam and again, felt the pure love with my Tartar over the grilled crostini. From the incredible texture to the once again perfect combo of flavors (the truffle and smoked salt... oh my heavens! ), truly a course I'll never forget. Might I mention the 2013 Hogwash Grenache Rose made a lovely complement. Taking our places at a beautifully dressed table we took the opportunity to chat more with our new found blogger friends as well as the Corporate staff of Girard's and Marzetti, Chef Wilson served the salad course - a ChefWedgie Cobb Salad using my favorite Girard's Dressing, the Old Venice Italian. I think I'd have to say the next course tied as my favorite for the evening (with the Salmon Tartar), described as "Geoduck Linguine with Girard's Roasted Garlic Hummus Vinaigrette & Mache Purée Parsley, Olives and Browned Butter", I looked forward to the "pasta" course. Are you familiar with Geoduck Clams? The world's largest burrowing clam, the geoduck reaches an average size of 2.07 lbs (including the shell) in the subtidal waters of Puget Sound. According to the Washington Department of Fish and Wildlife, geoducks grow rapidly, generally reaching a pound and a half in three to five years. They attain their max size by about year 15, but amazingly can live at least as long as 168 years. Take at peek at the Department of Fish and Wildlife's site for a visual on these babies, and you'll see how Chef Wilson was able to cut a clam into "Linguine". 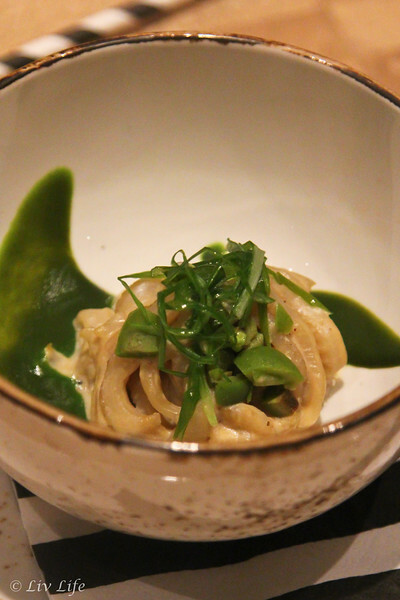 Arriving twirled in our bowls just like real pasta, none of us really knew what to expect with our first bite, but the slightly firm texture combined with the lovely browned butter and mache/parsley puree was simply fabulous and will remain a course I will never forget. On a side note, the wine paired here, the Washington Alexandria Nicole Viognier brought another lovely complement. Moving on to the fish course, Chef Wilson incorporated Girard's Chinese Chicken Salad Dressing in a marinade for a Roasted Black Cod with Maitake Mushrooms. Again with that wonderful smoked salt, the cod melted in your mouth and this wine, the Sonoma Lioco, Kush, Cinsault proved to be my favorite pairing as well as my favorite wine of the evening. While the rest of the table enjoyed perfectly cooked, tender Grilled Lamb with Girard's Sundried Tomato and Artichoke Dressing with the main course, the Chef once again surprised me with a seafood offering... more luscious scallops with a side of local roasted cherry tomatoes. Simply amazing. Follow #Girardscc for more Instagram posts of our weeekend! And lastly, we arrived at the sorbet offering and on to the seasonal Peach Melba dessert. No one would have guessed a Raspberry Dressing flavored the Plum and Sake Sorbet which served beautifully to segue us to the delectable Peach Melba incorporating Girard's White Balsamic Vinaigrette and topped with a dollop of Rosemary Marscarpone with Vanilla. Wish you could make that Melba yourslef?? 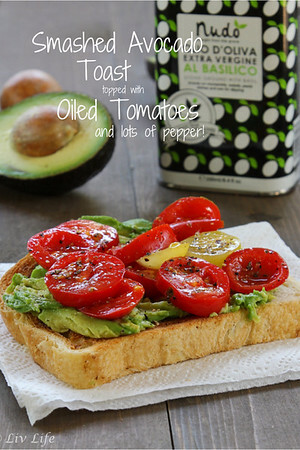 See Danelle's blog, Let's Dish, for her perfect recreation of the recipe! What a journey we had. Food always serves to bring people together, and where our group of bloggers and Griard's representatives arrived at the table as acquaintances, we left with memories and newly formed friendships eager to continue the next phase of our adventure. I can't begin to express my thanks both Girard's and Chef Wilson for such a memorable evening. 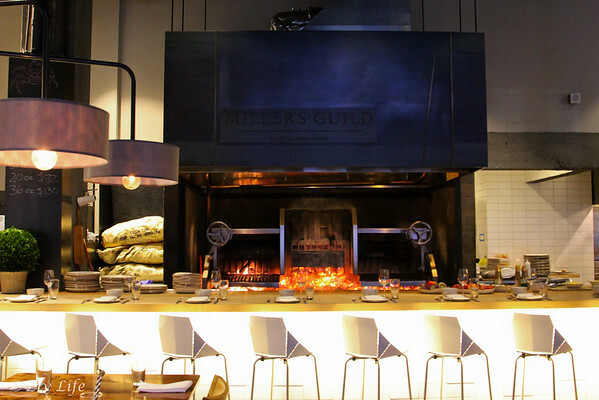 Ranking up there as one of my top meals ever, Miller's Guild will be top of my list on my return visits to Seattle. To be continued... next up Girard's puts us to work at Pike Place Fish Market! 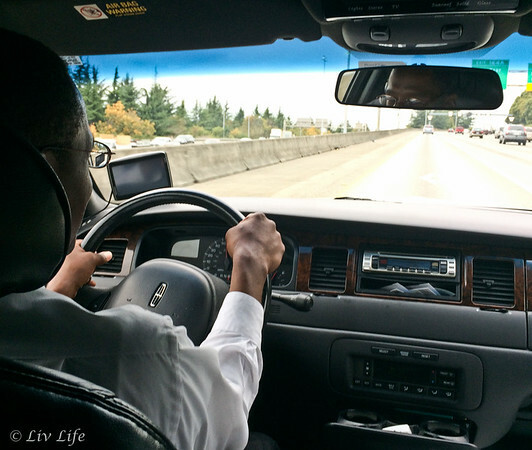 As the wife of an airline pilot I'm not often the one on the road without my family. I am, though, the frequent recipient of envy-creating text featuring travel photos from around the world... for example, shots of fresh sushi from Japan, pictures of brews served seasonally only at the Kona Brewing Company in Kona, or views of downtown New Orleans during Mardi Gras. 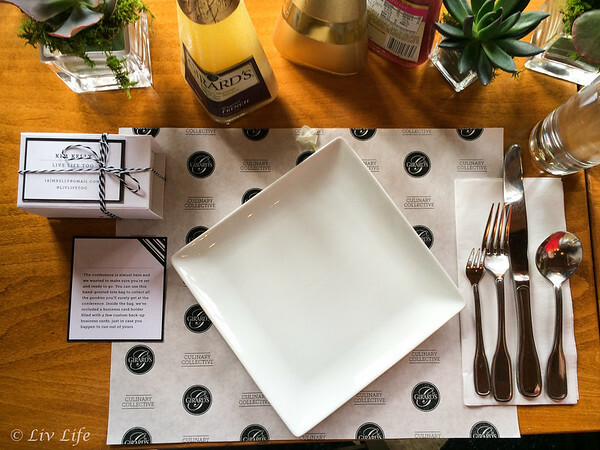 However, last weekend the tables turned as I jetted off to participate in the Girard's Culinary Collective and attend the annual International Food Bloggers Conference in Seattle, Washington. 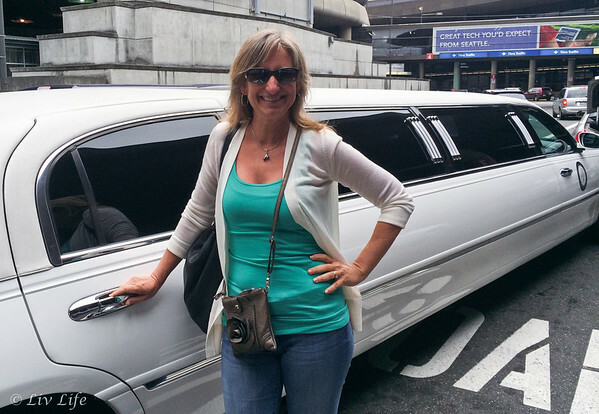 Greeted at the airport with a limo sent to whisk only me to my hotel I immediately felt like a Food TV star, and so began my own stream of envy-creating text messages back home. Scooting to the front of my limo so as to chat with my driver Chris, of Amy's Limousine Service (highly recommended if you need transportation in the Seattle area! ), I may not have brought the Food TV star look with me, but his welcoming demeanor had me feeling like we were old friends in mere minutes. Bringing me to the downtown Westin Hotel, Chris and I chatted about everything from landmarks to Washington history with little football trivia thrown in on the side. Specializing in personalized services, Amy's brings a special touch to transportation. I had a few moments to chat with Amy herself as we waited for my car to arrive, and she's indeed a true gem. Sweet and warm, 9 years ago she didn't take her father's advice about not starting a limo company and she's never looked back. 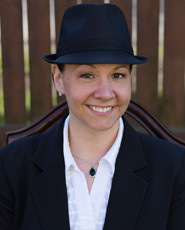 With a fleet of discreet town cars, roomy SUVs, executive vans, touring buses and Seattle's only single window stretch limousine, Amy has your Seattle transportation needs covered. But it wasn't the cars that impressed me most, it was her heartfelt caring that left me wanting to see with her again. My drivers both directions brought the same caring, comfortable service, and Amy's will definitely be my go-to transportation service next time I visit Seattle. 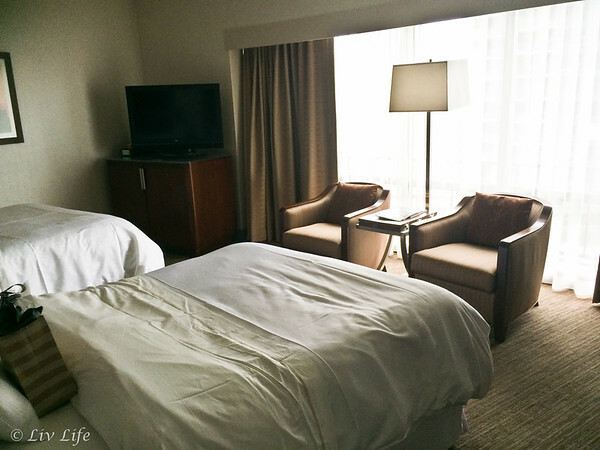 Arriving at the downtown Seattle Westin, located on Fifth Avenue, the Westin staff continued my star treatment with quick and caring service. 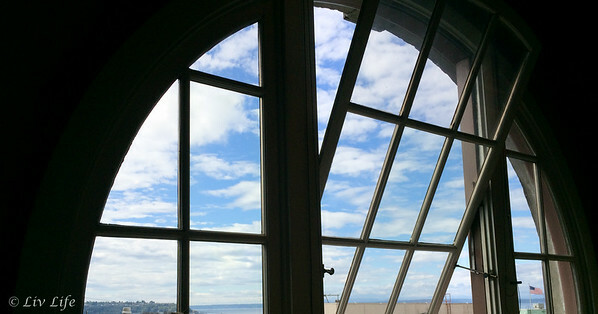 A Seattle landmark with their twin cylindrical towers, the Westin's location is perfect for walking the city. Traditional Rooms bring some 325 sq. feet of space in addition to partial city views. Comfortable for business as well as family, I found the elevators quick to zip me to the lobby considering how many floors there were in each tower. Known to host numerous conventions, the ballrooms proved perfect for our conference with a courteous and hard-working staff. While numerous dining options are available within walking distance, the hotel itself offers one restaurant, Relish Burger Bistro. 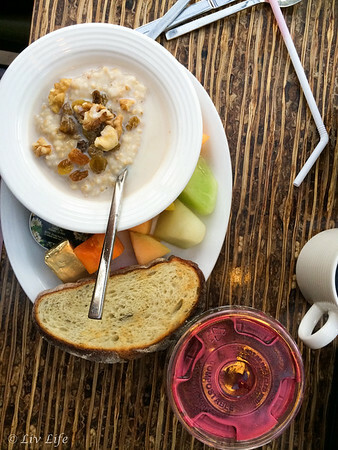 I only dined at the restaurant for the buffet breakfast, freshly made whole juice drink (beet, greens, blueberry, and pomegranate - not included in the buffet) became my healthy balance each morning. A little pricey (but isn't that always the case in hotels??) with the juice drink at over $6 and bottled water for nearly $3, the restaurant serves its purpose and I enjoyed my bowl of steel cut oats with all the fixings (they do offer milk alternatives for those looking to go dairy-free) along with toasted Seattle sourdough toast, juice and coffee for my breakfast (buffet also included fruit, eggs, meats and assorted cereals, breads and pastries). Note the hotel also offers a lobby bar perfect for relaxing with a nice micro brew in the evening. Having a few hours to explore the city before meeting the rest of the Collective for dinner, I jumped at the opportunity to walk the streets of Seattle, and found myself quickly reminded of my (and Girard's) hometown of San Francisco. 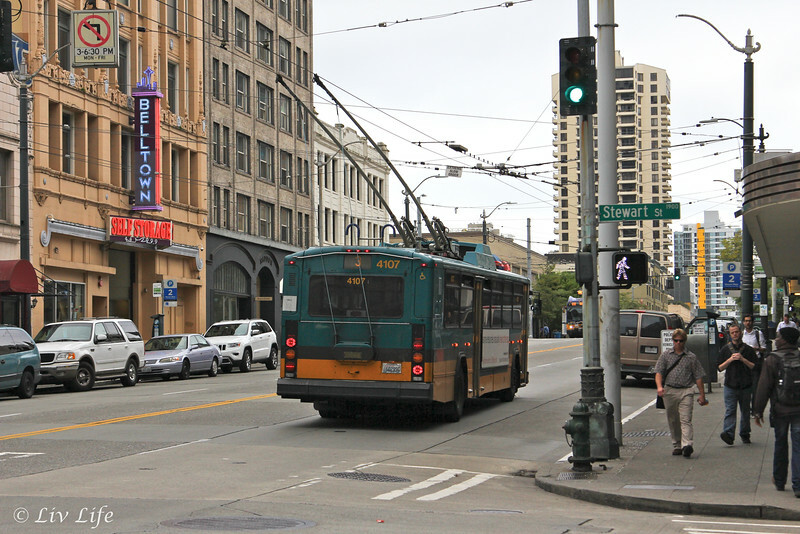 Beautiful buildings dating back to the the early 1900's brought a bit of history to the walkable city, however the wonderful public transportation system incorporates buses, monorails and trains for further distances when needed. With one destination in mind I made my way to the famed Pike Place Market to capture that famous photo for myself. Once there I couldn't help but spend a little time watching the guys throwing fish at the Fish Market, and had to wonder just how hard it was to catch those slippery little guys. Little did I know I would soon find out (stay tuned for the next post)...! 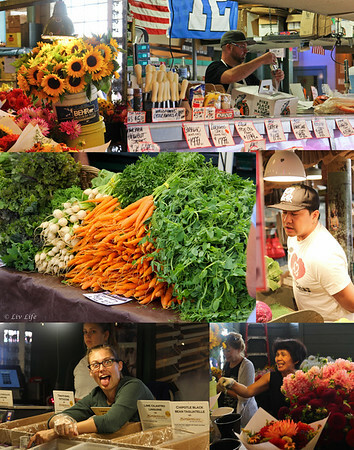 Founded in 1907, Pike Place Market is home to Seattle's first farmers market and today brings produce and goods to eager customers 365 days a year. As the story goes, the market opened on August 17th, 1907 with 12 farmers bringing their produce-filled wagons to market. A resounding success, each wagon sold out within hours, and by November 30th of the same year the market moved into its permanent residence, the first market structure complete with 76 produce stalls. 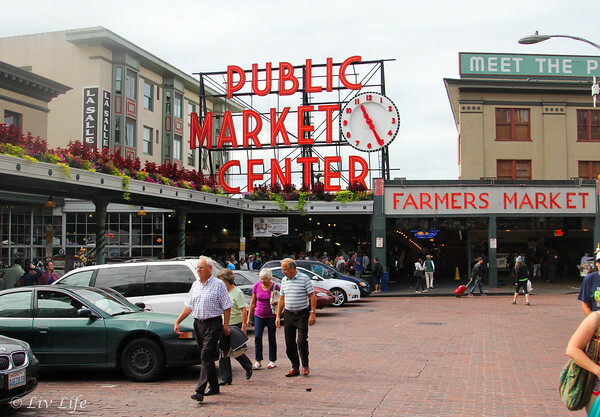 The rest is history, and today Pike Place market remains Seattle's neighborhood marketplace presenting fresh, locally produced, and high quality goods, foods and handicrafts to locals and tourists alike. Meandering the through market, flower lined the stalls tempted me at every turn and the scents of the Market Spice Company brought visions of new recipes and leisurely mornings with flavored teas. Local produce lined tables next to stalls featuring goods like flavored pastas and a favorite of mine, lavender products with gorgeous lavender infused honey will tempt you with every turn. The market itself may bring a plethora of "things" to the tables, but it's the people who breathe life into the products and make the experience fun and interesting. Smiles abound as flowers are wrapped for dinner parties or some of that flavored pasta (they had chocolate raspberry linguine...!) is offered for sample. Everyone has a story and I found myself chatting as much as I explored. 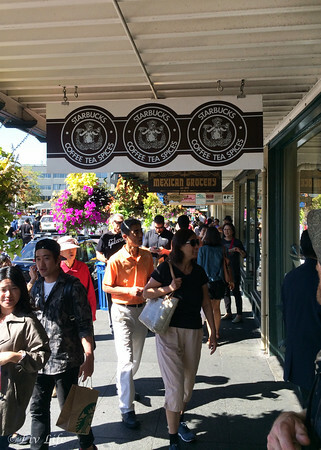 Of note, just across the street from the market is the original Starbucks which opened in 1971. Definitely a popular tourist attraction, the store provides similar coffee offerings as any other Starbucks store, but does hold a gift shop featuring goods only available at this particular store. I have to admit I only snapped an obligatory shot of the sign and avoided the incredibly long queue, however the stop appeared extraordinarily popular. 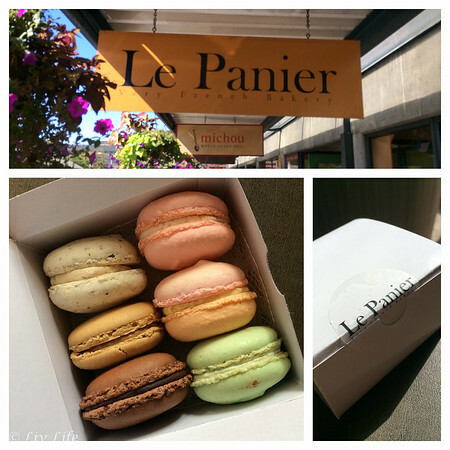 Moving just a few doors down I found my true happy place - Le Panier Patisserie. 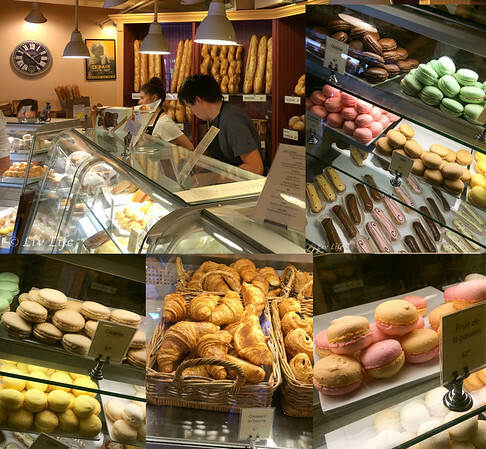 Dedicated to traditional French baking, the shop evokes memories of afternoons in Paris sipping espresso and enjoying a croissant or macaron. Taking a single step inside their door one finds the aromas of freshly baked breads nearly impossible to resist. With trays of perfectly sized (not the American super-size) croissants, the almond immediately caught my eye, but fruit flavors including raspberry and apricot in addition to sweet cinnamon and chocolate all tempted my willpower. Freshly baked breads lined the walls and the baguettes simply beg to jump in your arms and head home with you. Choices of sandwiches (on that beautiful baguette bread), tarts and cookies round out the tempting offerings and make choosing just one thing a difficult decision. Knowing I would need to bring macarons home to Liv, I felt it my duty to try the different flavors... just to make sure I found the best one for her, of course. Clutching my precious macaron box close, I began the walk back to the hotel in preparation for a much anticipated dinner with the Girard's Culinary Collective. Join me tomorrow for the next step in my adventure as I introduce you to the rest of the collective and share a special meal prepared by Chef Jason Wilson of Miller's Guild.